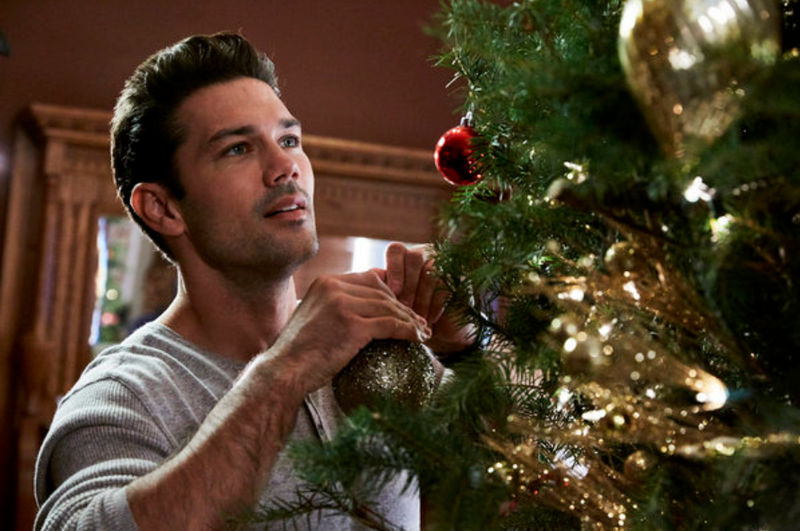 Ryan Paevey (General Hospital) and Scottie Thompson (12 Monkeys) and star in Hope at Christmas, which premieres tonight at 9 p.m. ET/PT on Hallmark Movies & Mysteries as part of the network's annual "Miracles of Christmas" programming event. Recently divorced Sydney (Thompson) and her daughter Rayanne (Erica Tremblay) are seeking a fresh start and begin by visiting Hopewell, the small town in North Carolina where Sydney spent holidays with her grandparents as a young girl. Initially there only to sell the house she inherited, Sydney and Rayanne are embraced by the town in ways that only fate and the magic of Christmas can explain, and Sydney soon finds herself hopelessly smitten by Mac (Paevey), an elementary schoolteacher, fill-in Santa, and the very definition of "a good man." The cast includes Colleen Winton (Bea), Jan Bos (Mayor Gray) Juliana Wimbles (Diane), Chris Shields (Lou), Dakota Guppy (Sarah), Shelby Armstrong (Hannah), Nelson Wong (Kenny), Katey Hoffman (Susan), Peter Graham Gaudreau (Rev. Oliver), Kazz (Kasimir) Leskard (Todd), Brenda Crichlow (Clare), Janet Glassford (Marnie), Ramon Terrell (Marvin), Karly Warkentin (Passerby) and Emmett Lee Stang (Christofe).